[dropcap]I[/dropcap]f a sponsor wants to talk with you…are YOU prepared? What will YOUR answer be when, after all your hard work towards getting sponsored, a company representative comes up to you and says, “Hey, we’ve been watching you and we think you might be a good fit for our brand. Tell me about yourself.” So, how do you impress potential sponsors? First impressions can make or break you, so you MUST be on point when you are asked to talk about yourself. How do you do that? Exclusive Bonus: Click here to access a free template that will make it easy for you to impress sponsors! With a nice little elevator speech and a compelling followup! Below I’m going to show what to say in your elevator speech. And at the end you’ll have a chance to download a template to help you quickly craft your speech. Now then…Let’s get you prepared with an elevator speech. 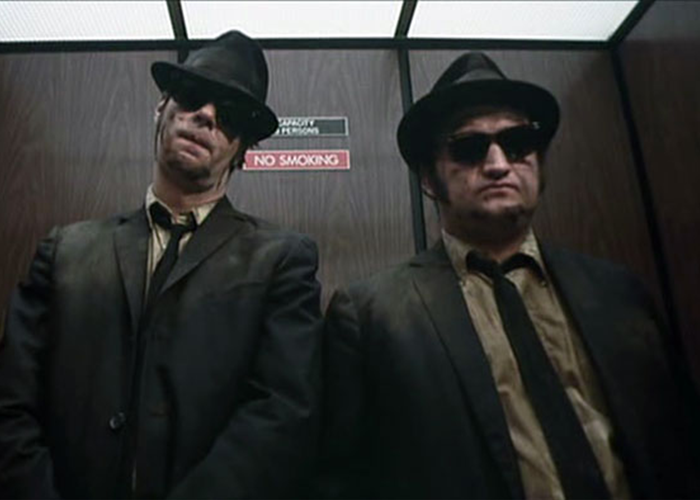 The elevator speech is short, sweet, and has a pinch of “Yeah, I’m a badass”. Just enough to tease them into wanting to hear more. It’s called the “elevator speech” because if you were in an elevator and asked to talk about yourself, you would have about 20 – 60 seconds to talk. So it better be good. Are you able to say you’re the largest, the most exciting, the first, the original, or anything along those lines? If you can, use it. You don’t want blow yourself out of proportion but you DEFINITELY WANT TO TALK YOURSELF UP. You must display confidence. If you’re unsure whether you’re crossing the line and being too cocky, then cross that line. You want a balance but it’s infinitely better to err on the side of being too boisterous rather than too meek. Talk about your unique points. If you’re not sure what your unique points are read this first, then come back to this article. Make it relevant to the interests of the sponsor. Make it a point to relate who you are and what you offer, to the desires of the person/company you’re speaking with, and be specific. Sell the relationship you offer with their target audience. Many fighters sell themselves short by offering themselves as a commodity. Meaning, they focus on selling logo placement, ad space, etc.. While those are all parts of a sponsorship, that’s not what you should focus on. All those things can be purchased from any fighter, and perhaps for cheaper than what you’re asking. There’s a good chance other fighters will even offer it for free. So you need to sell something that can’t be bought with another fighter. The thing that can’t be bought anywhere else is your relationship with your fans, and more importantly, the sponsor’s target audience. For example, notice how in the last bullet point I said “an undeniably exciting fighting style that adrenaline junkies relate to”.